We finally made it back to North Carolina after traveling the UK and France. We visited several Methodist heritage sites in the UK. I will share some photos and video of our visits in the coming days. Here are some of the photos from Wesley Chapel. 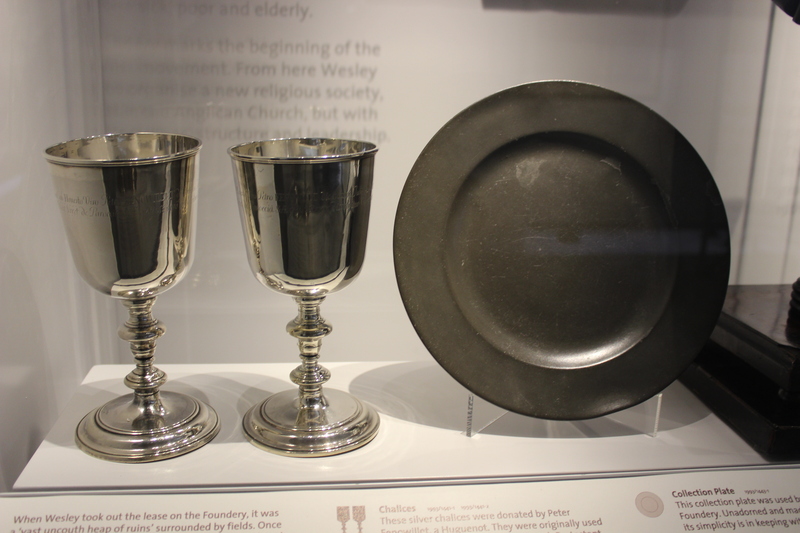 Displayed in the Wesley Chapel museum are the chalices and collection plate used in the Foundery, the first meeting place for Methodists established by John Wesley in London. 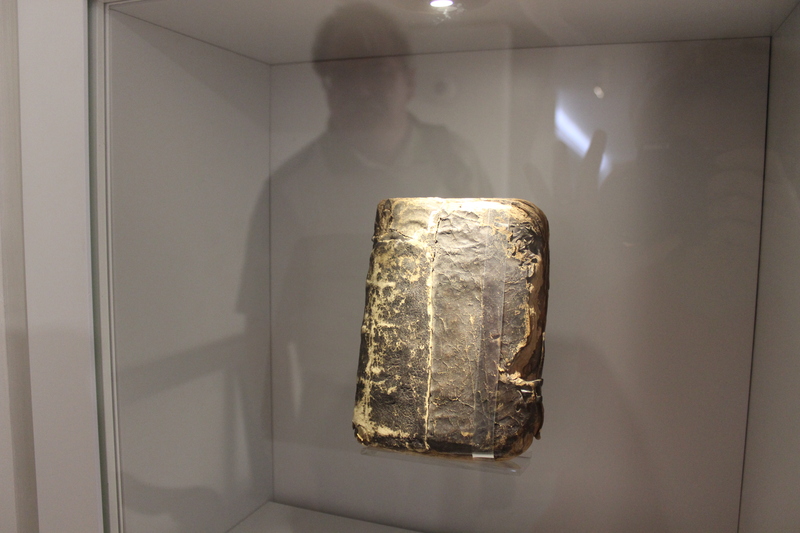 Displayed in the Wesley Chapel museum is a Bible found in restoration work at the Old Rectory in Epworth, UK. More photos from Wesley Chapel and St Paul’s Cathedral are available on the JohnWesleyBlog flickr page.